WhatsApp is one of the most popular Messenger App which is used by millions of people. When it comes to WhatsApp, there are many WhatsApp Tricks & Tips and today I’m going to share one of those. In this Article, I’m going to Share How To Hide WhatsApp Images From Gallery? When we use WhatsApp, we get Added in many WhatsApp Groups. After getting added in groups, WhatsApp Images & Videos automatically gets downloaded which are shown in Gallery. Though you can Stop Auto Download In WhatsApp, you can still Download it manually which will be again shown in your Phones Gallery. It happens many times when your friends send Images on WhatsApp which automatically gets downloaded and shown in Gallery. If you are looking for the solution on How to Stop Saving WhatsApp Media to Phone Gallery, then this Article is for you. Many people say, to Hide Images From WhatsApp, you need to Root Your Smartphone. But, in reality, you don’t need to Root your Phone in order to Hide Images. Once you hide your Images, no one will be able to see it in your gallery. Still, if you want, you can see WhatsApp Images from your File Manager. There are many Tricks on How to Hide Photos from Camera Roll but here I’m going to Share the best out of them. Also, there are many Photo Hiding Apps using which you can Hide Pics From Gallery. Today I’m going to Share 3 Working Methods to Hide Images From Gallery. So, without wasting more time, let’s proceed further and check out How to Hide WhatsApp Photos From Gallery? Hiding WhatsApp Pictures is not a difficult task, you can either do it manually or with the help of Hiding Picture Gallery App. Here, I’ve shared 3 different methods to Hide WhatsApp Image Folder or say Hide Pictures from Gallery. Method 1: How To Hide WhatsApp Images From Gallery Manually? To use this method, you’ll need a File Manager App. 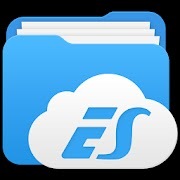 You can either use ES File Explorer or any other Alternative to ES File Manager. Step 1: Firstly, Download & Install ES File Manager. Step 2: After installation, Open the WhatsApp Folder. 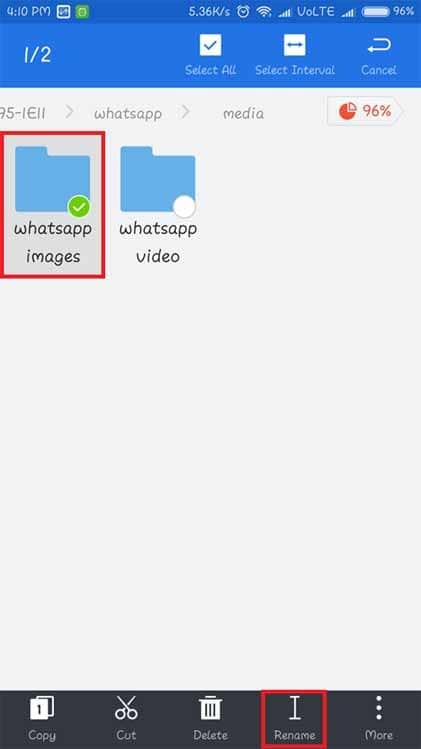 Step 3: In WhatsApp Folder, Open Media Folder and there you will see WhatsApp Images Folder. Step 4: Simply, Long press on it and Click on Rename. Done! 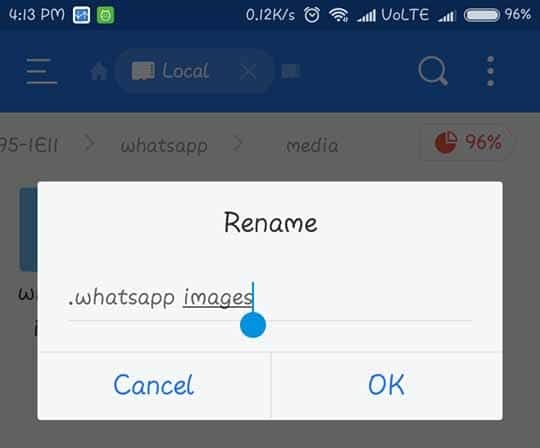 With this Simple Trick, you have easily Removed Photos from WhatsApp Gallery. Head over to your Phones Gallery and you will see there is no WhatsApp Folder. This was the Article On How To Hide WhatsApp Images From Gallery. Apart from this, there are many other methods as well but here I’ve shared the Best and Working Methods out of them. 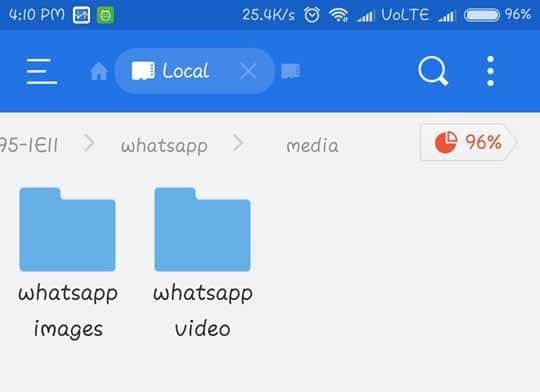 You can also use other apps to hide your WhatsApp Images and Videos. Not only WhatsApp Images, but this App can also Hide other Media too.